Isabella had a special bond with her father, Isaac Macdonald. She might even have been what we would call in today’s world a “daddy’s girl.” But the truth was that her father was undoubtedly the single most influential person in her life when she was growing up. In his younger years Isaac Macdonald earned his living as a farmer, but with a wife and six children to support, he left farming and established a box-making business in Gloversville, New York. Isaac was a box maker, and if his boxes are any index to his character, he was staunch and worthy. He lies in our pleasant cemetery, but there are boxes still in use made by his faithful hands. It’s a brief paragraph, but with its use of the words character, worthy, and faithful, we get a glimpse of Isaac Macdonald’s reputation among his neighbors and friends. In the many stories and anecdotes Isabella shared about her father, she paints a picture of a loving man of immense faith. In his home circle, he ably fulfilled his role as provider, protector, leader and teacher. He was eternally patient with his children and grandchildren; and he instilled in them an unbreakable faith in God and His Word. Most of all, Isaac valued honesty, a fact Isabella illustrated in a story that took place when she was an adult and her young niece Minie was staying at the family home. “The truth!” said Julia, in surprise. “Why, of course it wasn’t truth. It was only in fun, you know. Whoever supposed that the absurd little monkey would believe it?” and she laughed again at the thought. Isabella never forgot the lesson. Isaac’s teachings with Isabella extended beyond those that would shape her character. In an interview with The Ladies Home Journal, Isabella said that it was her father who taught her to write at an early age. He was the first to encourage her to keep a diary; and he also taught her to take notes during their minister’s sermons on Sunday morning. Together they would review her notes, and he encouraged her to use her own imagination to expand on them and weave stories from the lessons and bits of wisdom she had recorded. That early discipline soon bore fruit. When she was about seven or eight years old Isabella wrote a story about the family clock (read more about her story here). This incident, too, offers a glimpse into Isaac Macdonald’s character, and his desire to protect his daughter from public scrutiny and the hazards of fame. Thereafter, Isabella was often writing or telling a story. Her books Four Girls at Chautauqua and Ester Ried made “Pansy” a household name around the world. It was while she was writing Ester Ried that her father became ill. When her father fell ill in the summer of 1870, Isabella spent as much time with him as she could, and often read to him from his Bible. She described it as a large-print Bible, all full of leaves turned down and verses marked. She said there was no need to ask which verse was his favorite; he had left “marks of his love” all through the book. “And they shall see his face, and his name shall be in their foreheads. During that summer of Isaac Macdonald’s illness, Isabella was writing Ester Ried. Her father, as always, was interested in her writing progress; but he showed particular interest in the story of Ester Ried. 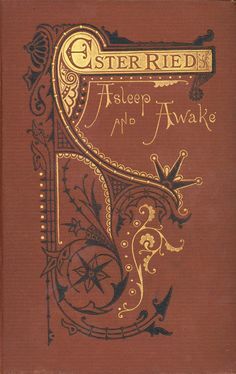 He told Isabella that “he prayed that it might be a blessing to some young life.” Sadly, he passed away on July 26, 1870, before Isabella finished writing the novel. Isaac Macdonald’s prayer for Ester Ried was answered over and over again. Ester Ried was a great success and proved to be a blessing to generations of girls and young women who read it. Isabella’s love for her father was evidenced in the books she wrote. She used him as the model for many of her male characters who were wise in judgment and strong in faith. You’ll catch glimpses of him in Dr. Deane in Wanted and in Dr. Everett in Workers Together; an Endless Chain. Oh, this is wonderful! You NEVER hear about father-daughter relationships like this anymore, mostly because fathers these days are expected to be pals but not true fathers. Thanks for sharing this…where is that grave marker? 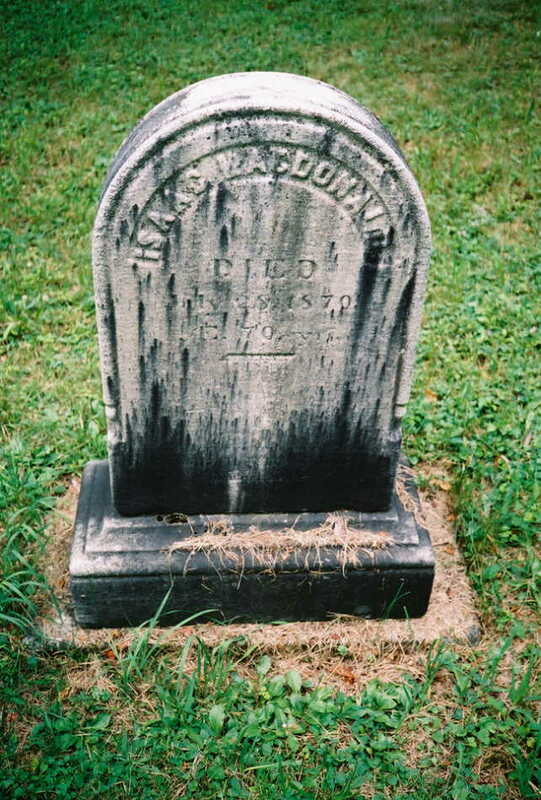 Isaac Macdonald is buried in the Johnstown Cemetery in Johnstown (Fulton County), New York. His wife Myra Spafford Macdonald (Isabella’s mother) is buried beside him; a matching headstone marks her grave.